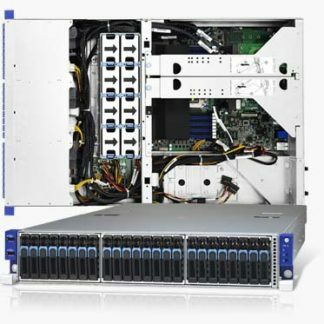 The Dihuni B8026T70AV16E8HR-7351-64-2 is an extremely high performing AMD EPYC server based on the Tyan Transport SX TN70AB8026 (B8026T70AV16E8HR) platform and is ideal and customizable for your Digital Transformation Applications : Web Server, Firewall, DNS, Security Appliances, Network Infrastructure, Front-End enterprise, Minimal-Downtime Cluster Server, E-mail Servers, Big Data, Internet of Things (IoT), In-Memory Analytics, Machine Learning, Artificial Intelligence (AI) and general Data Center Virtualization & Cloud Infrastructure Applications. The TN70A-B8026 is designed to offer the most robust support for direct attached NVMe storage of any storage server ever made. 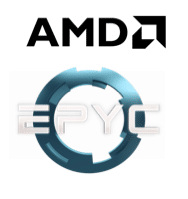 The AMD EPYC architecture allows Tyan to supply 96 PCIe lanes for a total of 24 direct-attached NVMe bays (B8026T70AE24HR model) without the need for any PCI switches or port multiplication. 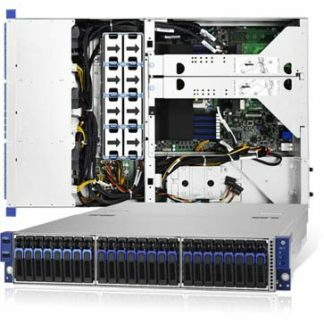 Expansion Slots PCI-E (2) PCI-E Gen3 x8 slots / (2) PCI-E Gen3 x8 slots ( w/ x0 link or x8 link) / (2) PCI-E Gen3 x16 slot ( w/ x16 link or x8 link) / *Without using OCP 2.0 Mezz card, please contact with Tyan technical support for details.